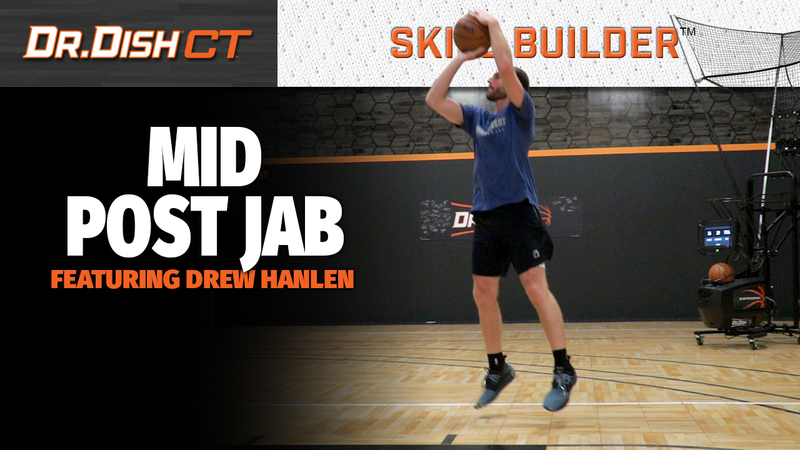 It's always great having our friend, partner, and Pure Sweat skills trainer, Drew Hanlen, in the Dish Lab to walk through some of his favorite workouts! In this breakdown, Drew demonstrates a series on the Dr. Dish CT around the mid post area. Use this progression to dominate and keep your defender on their heels! Make sure to work both sides of the floor and focus on the fundamentals and details for the fastest results. Once you master each option, you'll become nearly unstoppable in the mid-post area.